WE’VE been on winter standby for a few weeks now but apart from a few minor flurries the main event has still to arrive. 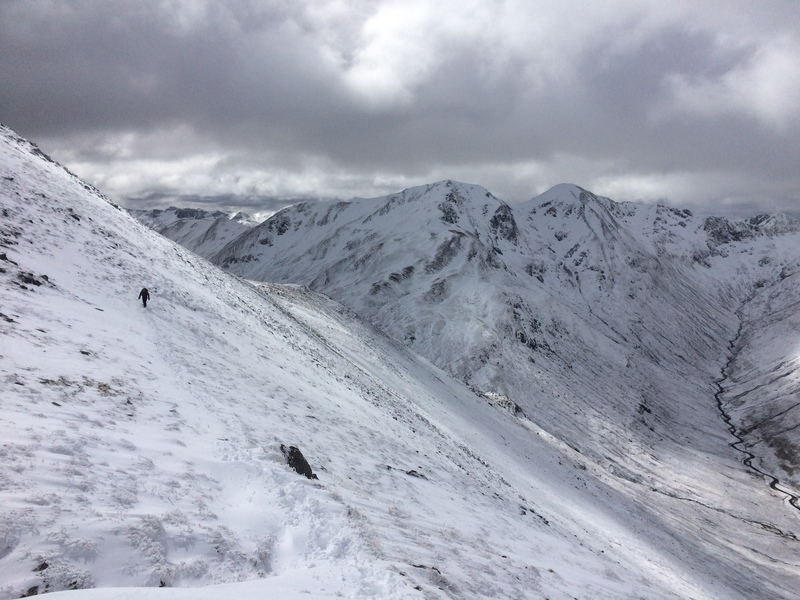 The Scottish Avalanche Information Service resumes its forecasts a week tomorrow, a vital service for those venturing out over the next few months. I was lucky enough to catch one of Heather Morning’s winter safety lectures the other night. 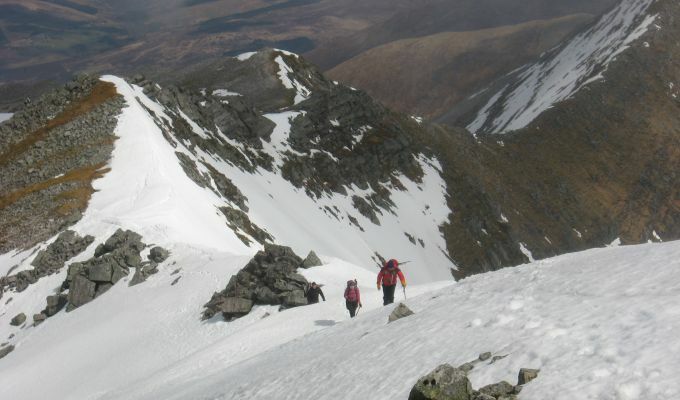 Heather is Mountaineering Scotland’s mountain safety advisor and she provided timely advice and some sobering thoughts, including a great example of how even the most experienced mountaineers can misread the elements. This particular incident happened last winter when a low-level trip to a bothy was disrupted by Storm Frank, leading to a battle against impassable streams and 90mph winds. Heather also talked about what she termed ‘stranger danger’, where you inadvertently end up taking responsibility for a more inexperienced party or individual. I don’t know anyone who would refuse to come to the aid of someone in trouble on the hill, but that’s an entirely situation from taking on the responsibility of going out with someone whose mountain experience is untested. This particularly resonated with me. About a year ago, someone contacted me on social media asking for advice on hillwalking partners, and I suggested joining a local club. A few months ago the same person got back in touch saying the club option hadn’t worked and asking if I would be prepared to walk Munros with him. I didn’t know this person, I had no idea of his hill fitness, ability or skill levels. I didn’t know if he could navigate, or if he had done any winter skills training. A blind date on the mountains at this time of year is ill-advised, the stranger danger that Heather had talked about. 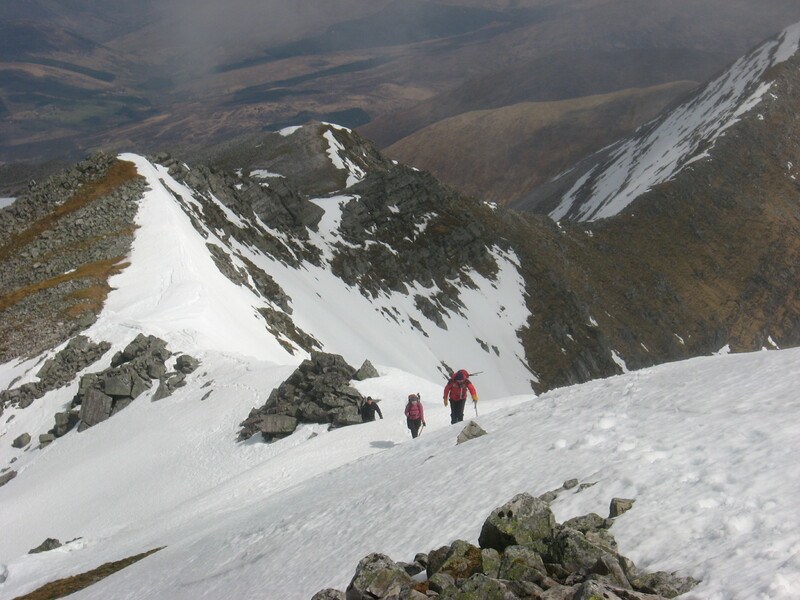 I explained this and suggested he hire a guide if he was desperate to do Munros at this time of year. He then offered me money to guide him. I explained that I was not a mountain leader and couldn’t accept money or the responsibility. I thought that was a reasoned response and good advice. Unfortunately, he simply wouldn’t take ‘no’ for an answer. Eventually, after many more back and forth messages in the same vein, he went off in a hissy fit and severed all contact, which was probably the best solution for both of us. Now he may have been superfit and a highly skilled mountaineer, but I had no real way of knowing. Anyway, anyone who basically calls you up and demands you become their friend is starting at the wrong point. It’s not uncommon for people to overestimate their ability when trying to get their own way. It happens every once in a while on club outings. Someone wants to do a walk and makes their ability fit the programme rather than the other way round. The mountain club I helped run in Glasgow used to insist that anyone unproven had to join us in July for our annual trip up Buachaille Etive Mor before being counted in for anything else. There was safety in numbers here, and if some of us had to turn back if it all proved too much we could do that without endangering anyone else. One of the pet hates of the legendary Skye guide Gerry Ackroyd was random walkers unsure of their ability trying to coat-tail on to his party. He would always stop and invite them to go on ahead. The look of panic on some of the faces was a picture but they had no choice. His reasoning was that if they couldn’t cope on their own, they shouldn’t have been there. Unless you have good knowledge of your walking partners, don’t put yourself in a potentially dangerous position. You have no obligation to anyone but yourself, so don’t succumb to emotional blackmail just to satisfy someone’s ego. Stand firm and stay safe. Winter is not the time to compromise.